Get ready for some nostalgic fun with Playson’s 40 Joker Staxx, a playful spin on the classic fruit machine! 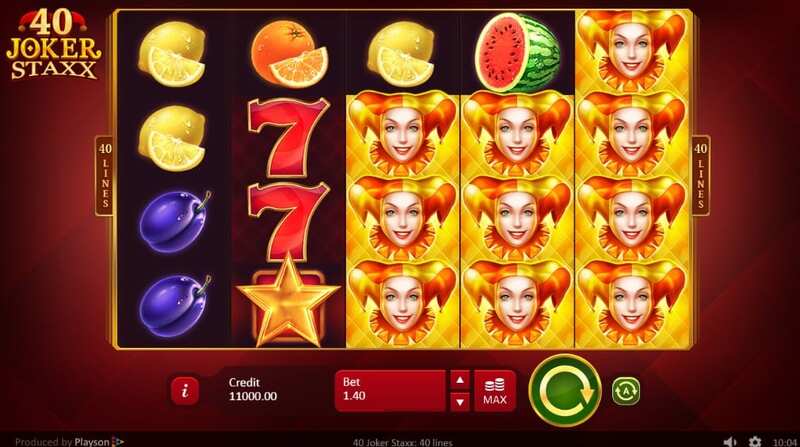 Line-up those scrumptious fruits, bars and bells to win big prizes or hit the joker and watch your winnings multiply. 40 Joker Staxx mixes oranges, grapes, lemons, cherries and watermelons for a scrumptious fruit salad that will have you coming back for more. So, take yourself back to the sights and sounds of your favourite amusement arcade with this thrilling take on video slots royalty that’s perfect for old gaming hands and slot rookies alike. Deposit at our casino to play slot games today for more than your five-a-day! While the fruits, bars, and bells will be familiar to all video slots fans, 40 Joker Staxx provides enough twists of its classic formula to keep even the most experienced gamers on their toes! Along with 40 possible lines to win across its five reels and four rows, the grinning joker wild symbol will help you create some massive winning combinations. It’s not just the fruit that will keep you on your toes in this classic ‘fruity’ but its sevens, bars and the high-scoring star all present too! Learn more from this game's details below to know why it's among the top-rated online slots in the UK. 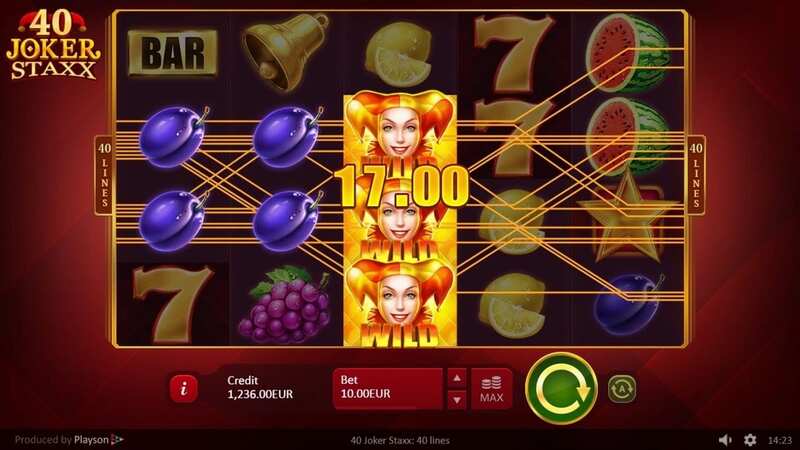 BE A STAR – Just like your favourite video slot classics, you’ll have stars in your eyes if you manage to land the star scatter symbol. Hit between three and five of them and you’ll bag yourself an instant prize! MASSIVE COMBOS – Stacked jokers swap out for any symbol on the reel to help you rack up big combinations even bigger cash prizes. Land multiple jokers and it’ll be more than this court jester’s clowning around that will have you laughing! STUNNING HD – Enjoy a game of classic video slots like never before with 40 Joker Staxx’s tasteful HD graphics and nostalgic sound effects.